As the new football season kicks off this Saturday (August 9) fans across the country were today urged to consider changes taking place at the Dartford Crossing in October when planning their journeys to matches. From October the way people pay the Dartford Crossing charge will change with the introduction of a new payment system called Dart Charge that will reduce congestion and ease traffic flow. Instead of stopping at the barriers to pay people will be able to pay in advance or by midnight the day after crossing. If you do not pay you will face a penalty. For two clubs facing each other in League One this season road trips are set to never be the same again after October. Colchester United and Gillingham FC are located on either side of the Dartford Crossing, which crosses the River Thames and links Essex and Kent. They will face each other at least twice this season, involving a crossing for each side and their travelling fans. Colchester United Supporters’ Association, the Gills Independent Supporters Club and the two clubs themselves are supporting the Highways Agency as it urges all road users travelling in the south east to be aware of the changes at Dartford. We may have to cross Dartford for at least three away games this season and I would therefore advise all fans to be mindful of the changes so they can use the new system to their advantage and avoid getting unnecessary fines. Anything that can improve the away day experience is important and we hope the changes at Dartford will mean that fans can get to their destinations quicker and easier than before. Apart from vehicles that are currently exempt, all cars, minibuses and coaches are subject to the charge, along with goods vehicles (motorcycles are free). 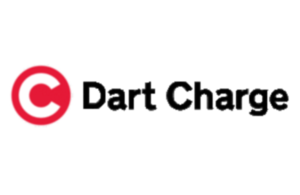 As announced by the government in 2012, the charge will increase when Dart Charge is introduced. A Dart Charge account – which is open to everybody - offers a discount of up to a third and means you don’t need to remember to pay, as it can be automatically topped up. Payment can also be made over the phone, online, at selected retail outlets, or by post. It will still be free to use the Dartford Crossing between 10pm and 6am, and discounts for local residents will remain. We hope football fans travelling through the Dartford Crossing will notice a big improvement in journey times during the course of this season, and for seasons to come. This is one of the country’s most congested parts of the road network, and we’re serious about tackling the problem. As you make a crossing, number plate reading cameras, lasers and tag readers will identify your vehicle to see how much you need to pay. The system then takes the money from your account or waits to receive payment from you. If you do not pay in time, you will receive a penalty charge notice. This will apply to both UK and foreign vehicles. Once the new charging arrangements are in place from October, then the major construction work will begin, to replace the current 27 lanes and payment booths with a much simpler road layout with four lanes in each direction. New signs will also be installed. On the southbound route over the Queen Elizabeth II Bridge, the improvements will happen quickly. It will take a little longer on the northbound route as a new safety system that stops over height vehicles from entering the tunnels is needed. All road works are due to be completed in spring 2015 and are being planned to minimise disruption for road users. These are significant road works and you can expect some impact on your journey as a result.